If you’re planning to host a party this holiday season, incorporating creative ideas will ensure that your guests have an unforgettable experience. Décor is an often overlooked party detail, so consider putting your effort into a hands-on, cooperative activity for all involved. 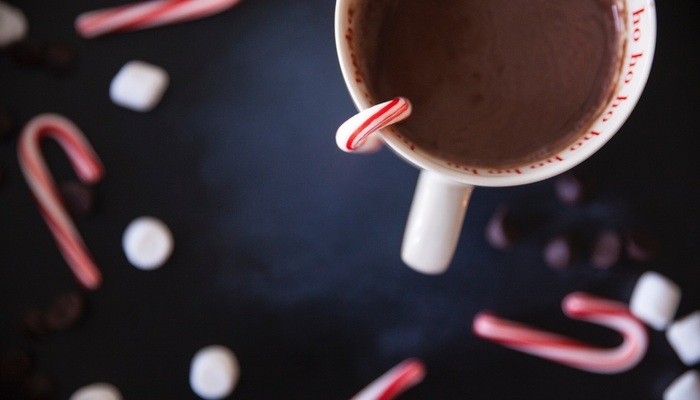 Offering a hot chocolate bar in lieu of (or in addition to) a traditional bar adds a festive holiday twist to any gathering, so take a look at the tips below to create the perfect setup. Instant packets of cocoa mix are convenient for making a single cup, but this isn’t the best option for serving a group. Instant hot chocolate mix tends to be lacking in flavor, and it’s also difficult to create a smooth, clump-free beverage. When it comes to making a great cup of cocoa, skip the instant version and opt for this creamy recipe that’s made in a slow cooker. This recipe is quick and easy, and when it’s done, keep it in the slow cooker on “warm” so guests can enjoy hot cocoa at the ideal temperature. Since the hot chocolate recipe is so simple to make, consider going the extra mile and prepping a batch of homemade whipped cream. Freshly whipped cream is completely customizable, so you can make several bowls flavored with holiday classics like vanilla, peppermint, or cinnamon extract. If you’d like to make a dairy-free option, coconut whipped cream is a delicious alternative that’s just as thick and creamy as traditional whipped cream. The best part? Whipped cream is incredibly easy to make, too. Simply prep in a stand mixer or use a hand mixer and chilled metal bowl. Hot chocolate and whipped cream are a quintessential pair, but be sure to spice up the cocoa bar with plenty of fun toppings. Marshmallows, mini candy canes, salted caramel sauce, and cookie straws are all excellent choices. Feel free to get as creative as you’d like, and deck out the bar with out-of-the-box toppings like rainbow sprinkles and candied ginger. If you’re on the hunt for ways to brighten up your holiday party, a hot chocolate bar is a crowd-pleasing option that’s easy to prepare. If you’re looking for a luxury apartment home that’s equipped with a spacious kitchen, VerraWest could be the ideal fit. Our gorgeous community is located in the quiet setting of Longmont, Colorado, and we’re proud to offer exceptional amenities for our residents. If you’d like to stop by for a tour, please reach out to our leasing team.